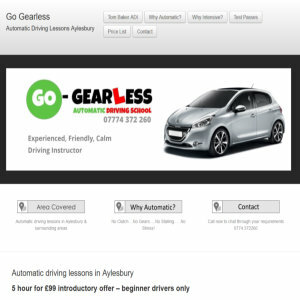 Go-Gearless is run by Tom Baker ADI, ADI stands for Approved Driving Instructor so you know you are in safe hands. There is a number of reasons why automatic driving lessons are fast becoming very popular, including no clutch to master, no gears to change, and no need to stress about stalling. At Go-Gearless Automatic Driving School we are very happy to chat about your needs and to tailor a course of lessons to your individual needs.